Probably the most central suburb between Nelson and Richmond. All the Main Roads meet in Annesbrook, it is the junction of Waimea Rd, Tahunanui Rd, Annesbrook Rd, and Wakatu Drive. 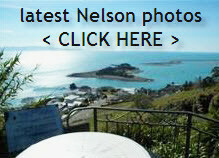 You are less than a 5 minute drive to Nelson Airport. The famous Tahunanui Beach is just 2.1km away. Nayland College, and Broadgreen Intermediate are only 1.5km away, and you have a choice of 3 primary schools all with-in 2km away. As you are situated midway between Nelson & Richmond its just a 5-7minute drive to there shopping centres. Closer to home Stoke shops with the Countdown & New World supermarkets are just 2-3 minutes away by car. There is a local dairy on Annesbrook Drive that locals know very well as the the “Black Cat”. Next to the dairy are also a Fish & Chip shop and a hairdresser. Nelson Suburban Buslines travel north through Annesbrook on the route to Nelson, and south on to Stoke Richmond. There are numerous bustops in the area. Built on Nelsons now non working Railway line, the Railway Reserve provides a delightful walking/cycling track which also provides a direct pathway to Nelson or Richmond. As Annesbrook would be classified more a s a family suburb, those seeking a dining out experience would find a wide selection of restuarants and cafes just 2km away at Tahunanui Beach. The other alternative would be Nelson less than a 10 minute drive around the coastline with its very comprehensive range of eateries.